Jessica Gant has a wide range of transactional and litigation experience in both law firm and in-house settings. She applies those talents to support Williams, Williams, Rattner & Plunkett’s business, corporate, and real estate practices. Jessica began her career with an upscale commercial real estate developer, where she worked as a lease administrator, helping to manage relationships with shopping center tenants. She later added litigation to her repertoire, first as a law clerk and legal secretary in labor management disputes and ERISA matters at the UAW and then as a paralegal for trademark and copyright disputes with a large intellectual property firm. While earning a bachelor’s degree in Business Administration from Walsh College, a professor and retired judge noticed Jessica’s proclivity for the law and urged her to pursue a legal degree. 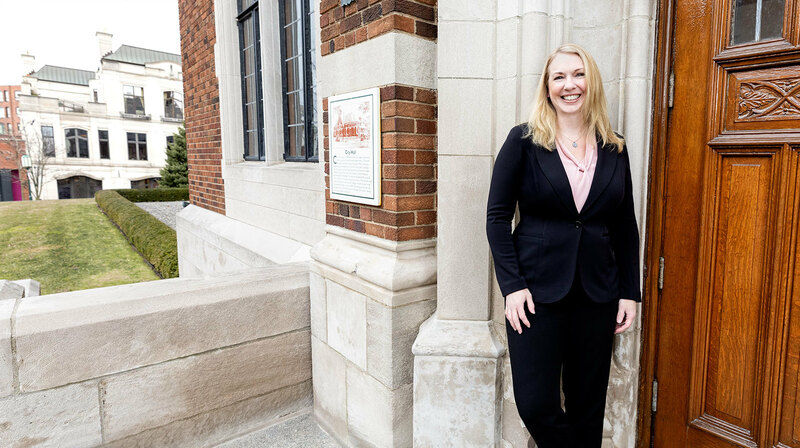 She kept the idea in the back of her mind, and ultimately enrolled at Western Michigan University Thomas M. Cooley Law School, from which she earned a Juris Doctor in 2018. Before joining the Williams, Williams, Rattner & Plunkett family, a boutique litigation firm brought Jessica in to manage the presentation of electronic evidence and exhibits in a completely paperless federal district court trial. Jessica is a valuable member of our team and uses her deep substantive and procedural knowledge, superior research abilities, and organizational skills to ensure matters are executed timely and professionally.